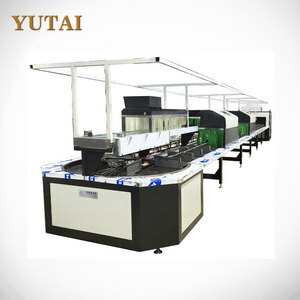 6 YRS Foshan City Yutai Machinery Automatic Technology Co., Ltd.
All our clients,from home or abroad are warmly welcome to visit us. and have factories in Indonesia and Vietman as well . Other payment terms can be discussed case by case. 9 YRS Foshan LUDE PU Machinery Technology Co., Ltd. Very easy and safe; 2. 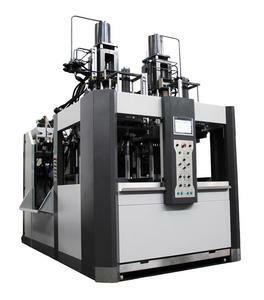 The machine has high-precise positioning system, to improve product quality exactly; 3. When spark occurs, it can cut off the electric to protect products. 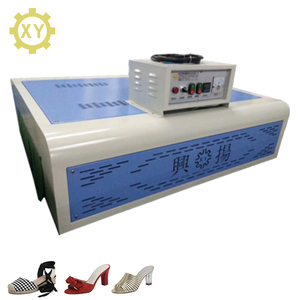 Sample View Our this shoe factory equipment Application range is: Footwear, trademarks, purses, nameplate, costume embossing, PEC environmental friendly materials, etc. (If the machine broken within one year without human factors) 4. 12- 24 hours online service(Timely solve your working problem). 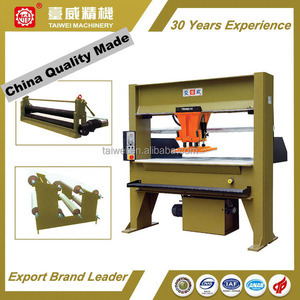 11 YRS Quzhou Taiwei Precise Machinery Co., Ltd.
KPU materials' biggest feature is the strong adhesion, weather resistance, folding times of up to 280,000 times, and wear-resistance. 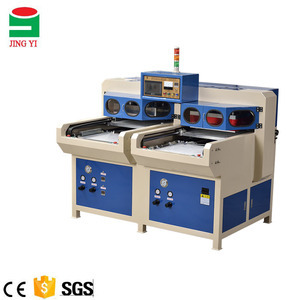 We can supply you whole set of KPU molding machine for sport shoes,include mold making machine,mixer,filling machine,baking oven,molding machine,cutting machine etc. Our promises to offer a life-long maintenance, and those maintenance services provided in the first year are free. 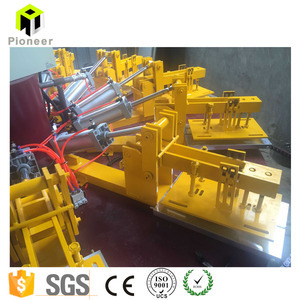 11 YRS Dongguan City Hongtaixin Machinery Equipment Co., Ltd.
3 YRS Quzhou Changheng Trading Co., Ltd.
After-Sales Service * Training how to install the machine, training how to use the machine. 2. If the customer demand foe services,the company promised within 24 hours of acceptance and deal. 3. Each client establish a separate file so that we can clear know using status of each device. 14 YRS Ningbo Credit Ocean Machinery & Electron Co., Ltd.
2 YRS Xinjiang Herun Xinteng Engineering Equipment Co., Ltd.
2 YRS Dongguan Kailong Machinery Co., Ltd.
7 YRS Foshan Quanyi Shoe-Making Machinery Co., Ltd.
4 YRS Qingdao Jingchengzhiyuan Electrical & Mechanical Equipment Co., Ltd.
2 YRS Dongguan KYD Automatic Machine Co., Ltd.
1 YRS Foshan City Yutai Machinery Automatic Technology Co., Ltd.
Q3: What's your payment term9 A3: Normally we do 50% T/T in advance 100% balance before shipment. Q5: How long does your product warranty9 A5: Our product is guaranteed for one year. Q7: Do you test all your goods before delivery9 A7: Yes, we have 100% test before delivery. 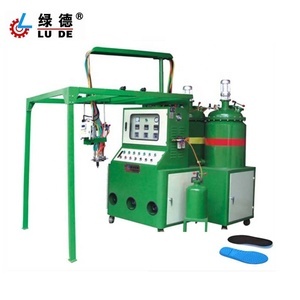 LD-905 China Polyurethane PU shoe injection equipment Feature: A. Imported components are used for the metering pump and electrical components, greatly enhancing equipment running reliability and service life. B. The primary material pipeline can be heated by oil or water, making product quality more stable. 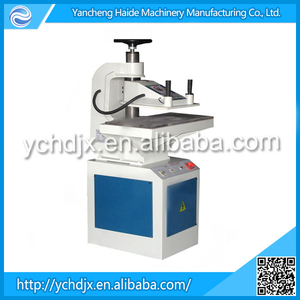 Alibaba.com offers 3,772 shoe factory equipment products. About 3% of these are shoemaking machines, 1% are rubber product making machinery. 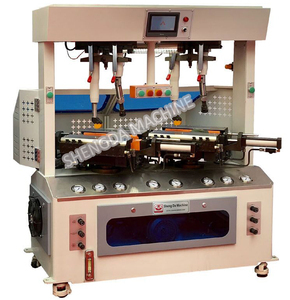 A wide variety of shoe factory equipment options are available to you, such as free samples, paid samples. There are 3,772 shoe factory equipment suppliers, mainly located in Asia. The top supplying country is China (Mainland), which supply 100% of shoe factory equipment respectively. 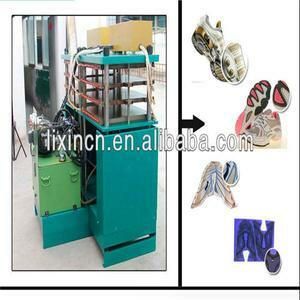 Shoe factory equipment products are most popular in North America, Domestic Market, and Mid East. You can ensure product safety by selecting from certified suppliers, including 1,035 with ISO9001, 650 with Other, and 274 with ISO14001 certification.